Have a user asked me how to change the BCD path. 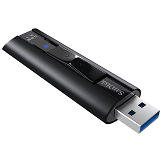 In this article I will guide you to do it on both Legacy and UEFI modes. Boot Configuration Data (BCD) files provide a store that is used to describe boot applications and boot application settings. The objects and elements in the store effectively replace Boot.ini. See more about BCD. The default path of the BCD file in Legacy BIOS mode is /boot/bcd. AIO Boot using BCD path in Legacy mode is /AIO/Menu/WinLegacy. The purpose I do it is to remove the /boot directory and use the /AIO directory instead. In Legacy mode, we need to modify the bootmgr file to change the BCD path. The simplest way is to use the BMplus software to create the bootmgr and bootmgr.exe files. With this software, you can also change the path for boot.ini and the font directory. It also supports a list of interfaces and of course you can also edit these interfaces. After setting the paths and options, click the Make BOOTMGR button to create the bootmgr file. This file is located in the BM.Builds directory. 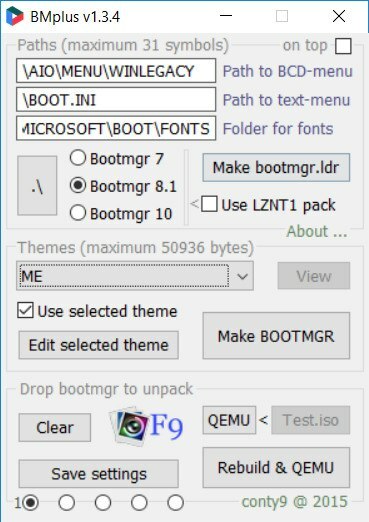 You only need the file bootmgr70, bootmgr81 or bootmgr10. In UEFI mode, the default BCD path is /EFI/Microsoft/Boot/BCD. I use the name BCD for 64-bit and B86 for 32-bit, this gives me two separate menu files. In this mode, 32-bit versions of Windows can not boot on 64-bit UEFI and 64-bit versions of Windows can not boot on 32-bit UEFI. I use two separate BCD files to make sure all menus work. Ok now I will edit the BCD file name to another name. 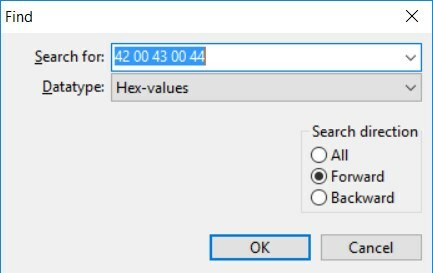 Each character is separated by a null character (Hex code is 00). We must leave at least the last 3 characters. The maximum length of bootx64.efi is 6 characters, bootia32.efi is 4 characters. The last step is to save this file and test it. Do not forget to rename your BCD file. Repeat the above steps to change the BCD path for the bootia32.efi file. AIO Boot menu file is /AIO/Menu/Main.cfg. You need to change the path and name of the files.